Shoppingcarts with NO Monthly Fees! Turn Your Own Web Site Into an Online Store FAST & EASY! HOST your online store on any web server. BUILD YOUR FIRST ONLINE STORE IN Minutes! Shopping Cart Software turns your website into an Ecommerce Store on your Own Web Site! Now you can build an Online Store and do it inexpensively! This affordable solution is being used by large and small companies in over 26 countries. 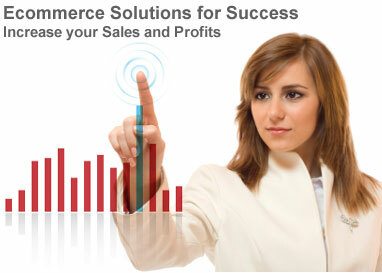 This program will give you a professional online store that is easy and fast to set up. No difficult CGI or any programming needed. Best of all your store can run on any server, This cart is comparable to shopping carts that cost hundreds of dollars and actually has many features that the top programs do not have, including ability to have unlimited stores. The Most Cost-Effective Shopping Cart! Build an Online Store FAST & EASY Without CGI or Any Programming! Excellent for start up companies as well as well established ones! Easy to learn and operate, no programming! Now you can afford to make the jump to the web with your own online store! Shopping Carts can be hard to learn or take hours of programming to get your store online but with our software you can get your online store up and running fast and without monthly fees! Your search for the perfect shopping cart solution has just come to an end! This shopping cart gives you a professional online web store in minutes! The Design Packs are prebuilt professional templates that are used with Store Creator shopping cart software to make setting up your store online even easier. With just the click of a button you can have all the graphics and layout complete for your store. There is nothing easier. Buttons, logos, and graphics are all included. Webmasters from all over are using the Design Packs to create stores for clients, no slaving over graphics programs trying to come up with a design that looks good! TM & COPYRIGHT © 1998-2009, Imagiforce Corporation. All rights reserved. All other trademarks are owned by the respective company or Imagiforce Corporation.